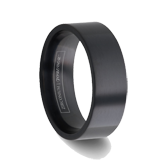 Leading tungsten carbide rings and tungsten jewelry retailer celebrates the Earth Day and Easter holidays by offering an Easter promotion to its customers for tungsten rings, tungsten wedding bands, and all other tungsten jewelry. 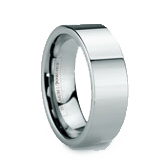 The end of April brings with it two major holidays in Easter and Earth Day, and the tungsten carbide experts at Tungsten World want to celebrate both holidays with their customers by offering amazing deals on their large selection of highest quality Tungsten Forever™ tungsten rings and tungsten wedding bands, all of which include a lifetime warranty. 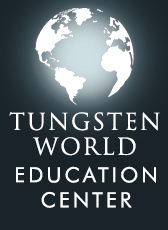 With many retailers split between celebrating Earth Day and Easter, Tungsten World is giving its customers great Easter deals while helping them shop with the environment in mind. This weekend, they are offering an Easter coupon code to save an additional $35 off already great prices on tungsten rings and tungsten jewelry. Customers entering the promotional code: TF35 at the time of check out will receive their $35 discount and can also celebrate Earth Day knowing they’ve ordered their tungsten rings or tungsten wedding bands from an environmentally-friendly retailer. “The advent of Easter brings many new ways to celebrate the warm weather, the environment and the joy of planning a summer wedding.” says 5 year e-tailor veteran Stephen McKenna. 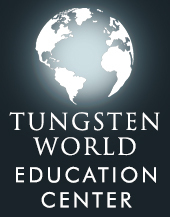 The largest retailer of tungsten rings in the world, Tungsten World has been promoting “environmentally conscious shopping” for years. 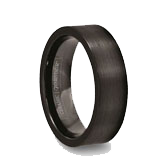 They’ve always listed their tungsten carbide rings and tungsten jewelry online while creating a shopping experience that exceeds that of any other physical store front customers would normally drive to; in doing so, Tungsten World has had a small part saving the environment by reducing the amount of automobiles used to buy tungsten rings. 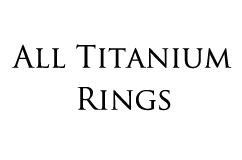 Furthering their “green” commitment, Tungsten World has partnered with fellow environmentally friendly company, FedEx, for their shipping needs. FedEx has been commended many times in recent years for their dedication to energy conservation and environmentally conscious practices. 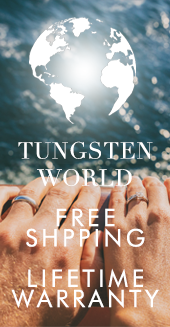 As a result, customers purchasing their tungsten ring via Tungsten World during this Easter weekend and all throughout the year will be shopping “green” with the help of Tungsten World and FedEx, while saving some green in the process. 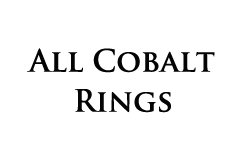 “Who knew that just one online retailer could reduce it’s carbon footprint on the earth by nearly 3500 tons.” says Brett Thomas, the company’s chief operating officer.